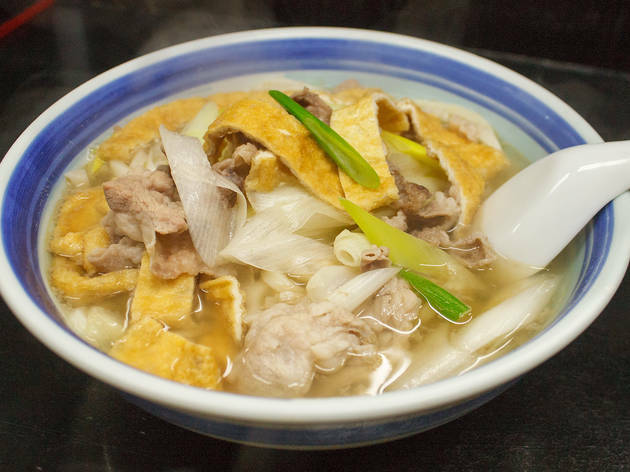 Serving up Kagawa-style sanuki udon in Nakano since 1962, Shikokuya remains a strong presence on the local noodle scene. Updating its flavours to go with the times, the shop continues to attract patrons with a diverse menu of udon and tempura. 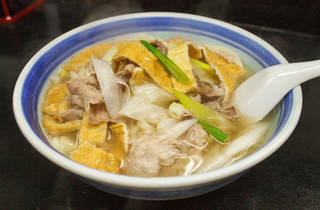 First-timers will want to check out the niku-kizami udon, a unique creation served with green onion, meat and aburaage (fried tofu) slices over an ample portion of noodles in sweet broth.